Prelude Music Classes is proud to teach the Music Together® curriculum which includes an award-winning mix of original songs and traditional tunes from a range of musical styles, including folk, blues, jazz, and world music. 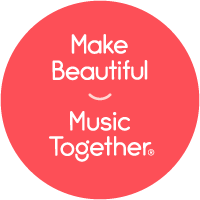 The music is pitched just right for children's voices, and the arrangements are fun, sophisticated, and loved by children---and grownups! The combination gives the children of Houston, Sugar Land, and The Woodlands a rich music experience, and makes this kids' music enjoyable for adult listening, too! Have a listen to some songs or download "Hello Everybody" app from the App Store or on Google Play today! 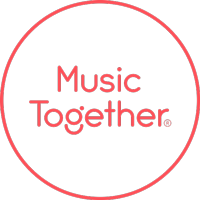 The Music Together songs are organized into nine collections of twenty-five songs, with three collections taught each year. Your family is welcome to join us at any time and continue for three years---and beyond. Many families cycle back and re-experience the collections as their children turn three or four. Because music-learning is cumulative, your children will experience developmental benefits that build over time. That's why we encourage their participation in Music Together for as many years as possible from infancy through kindergarten.